(MONTRÉAL, QC – October 24, 2017) Toyota plans to exhibit at the 24th Intelligent Transportation System (ITS)1 World Congress (hosted by ITS America and ITS Canada), which is scheduled to be held from October 29 to November 2 in Montréal, Canada. The this year’s Congress is, “Next generation Integrated Mobility: Driving Smart Cities,” where the aim is to explore new value-added features and services connected cars, automated driving technologies, smart cities, and new urban mobility means. Toyota expects to showcase its extensive work targeted toward the creation of a smart mobility society that links people, cars, and cities. 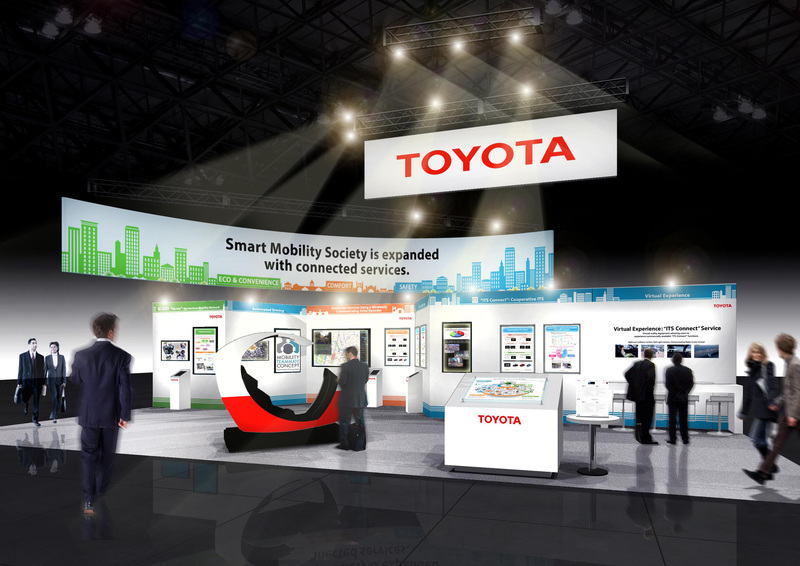 The Toyota booth will present ‘’Cooperative ITS,’’ an important safety technology with the aim of achieving zero traffic fatalities – the ultimate aim of a future mobility society. Additional presentations include "Connected Services Using a Wireless Communicating Drive Recorder" and "Ha:mo Next-generation Transport System Aiming for a Traffic Society that is Environmentally Friendly and can Comfortably Move". Specifically, Toyota will present its safety philosophy and exhibit Toyota’s current cooperative ITS services extending into the future. With the use of the “experiences zone,” which is arranged to showcase virtual reality (VR) and a driving simulator, Toyota hopes to introduce the use of its potential services it has in mind for the future. Toyota will also display the latest technical trends, such as initiatives in Japan and elsewhere, toward the popularization and development of future cooperative ITS. Using a wireless communicating drive recorder, Toyota will introduce service examples which utilize collected data such as front camera images and real-time vehicle data. Toyota will also introduce the "Ha:mo" system, which allows people and the town to move comfortably by using an optimal combination of personal vehicles, such as cars and public transportation. Toyota has been an active participant since the first Congress, exhibiting research results on ITS technologies, safety, and environment-related products and services. the spread of services including the contribution to the automated driving of "cooperative ITS"
Toyota’s overseas affiliates and affiliated companies are expected to participate in the Executive Session, Special Interest Session and Technical Session.